Obituary for Robert B. Sauer | Iseneker Funeral Home, Inc.
Lowville/Port Leyden – Robert B. 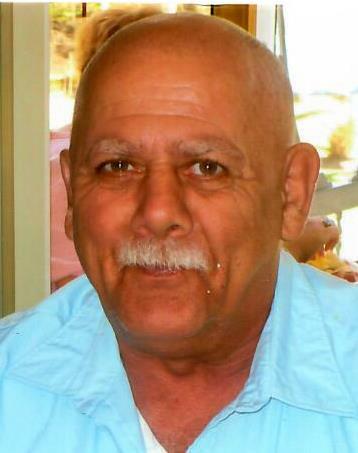 “Beetle Bob” Sauer, 69, formerly of Port Leyden, died Saturday morning, April 13, 2019 at the Lewis County Residential Healthcare Facility, Lowville. A calling hour will be from 11:00 a.m. to 12:00 Noon on Wednesday, April 17, 2019 at Iseneker Funeral Home, Inc., Lowville, with a memorial service to follow at 12:00 Noon, at the funeral home. Burial will be held privately by the family. Contributions may be made to the American Cancer Society, 110 Lomond Ct., Utica, NY 13502 or The American Heart Association, 2 Clinton Square, Suite 305, Syracuse, NY 13202. Surviving are four children from previous marriages, Bruce, Bobbi Jo, Ronald and Bethany, grandchildren and a great-grandson; his siblings and their spouses, Carl and Susan Sauer of Lowville, Joan and Michael Glenn of Lowville, John Sauer of Croghan, Doris and Randall Turck of Croghan, Donald and Cynthia Sauer of Croghan, Daniel and Kris Sauer of Lowville, Earl Sauer and his companion Sandra Gazda of Dixon, IL, Lisa and Kenneth Fleming of Lowville, several nieces and nephews. Robert was born in Lowville, NY on March 5, 1950, a son of the late Frederick H. and Beatrice M. Rice Sauer. He attended country school at Beech Hill and Beaver River Central School. He worked as a logger, a carpenter and on area farms. He enjoyed being outdoors, Campfires, helping friends, wood working and country music. Years ago, Bob enjoyed hunting and fishing.